Nearsightedness (Myopia) in Kids - Ophthalmologist Stephen Prepas M.D. One of the most common problems I see in kids is something I’m quite familiar with (since I have it myself! ): Myopia, which is commonly called nearsightedness. Those of us with this problem can see fine up close, but things get blurry at a distance. It is usually picked up during a vision-screening test at the pediatrician or at school, and it most commonly appears during the elementary school years. The problem is usually due to the size of the eye…the eye is too long! Two of the most typical facts about myopia are that is genetic (it runs in families) and it usually gets worse (as the child grows, the eye grows too). Several studies out of the Far East (where the incidence of myopia approaches 100% in some areas, such as Singapore) show that myopia progresses faster in children that are always inside (whether studying, playing video games, playing music, etc.). There is something protective about having at least an hour of outside playtime. Whether this is due to the physical activity, the lack of near focusing, or just being out in the sunlight is not known, but being outside helps. So make sure your child doesn’t study all the time! A popular treatment with some practitioners is flattening out the front of the eye with hard contacts that the child wears at night. This is called Ortho Keratology or CRT (corneal reshaping therapy), and while it does seem to be effective, I have seen several problems (corneal scarring and infections), that make me never recommend it. Other theories suggest that continued near focusing in itself can lead to progressive myopia, and three different treatments have been recommended. The first is to continually keep the child’s eyes dilated with atropine (a long acting relative of the drops I use during the exam). While this can be effective, the potential side effects (both short term and long term) make me not support this treatment. Another way to reduce near focusing in a child with nearsightedness is to prescribe bifocal glasses (or have the child take off the glasses when doing near work). While those of us that are over 45 need bifocals because we can’t see up close with our distance glasses on, the idea here is to keep kids from focusing up close even though they can. A recent study suggests that the same principle can apply to multifocal soft contact lenses. These contact lenses allow the patient to see up close without having to accommodate (close focus). Fortunately (as far as I’ve heard! 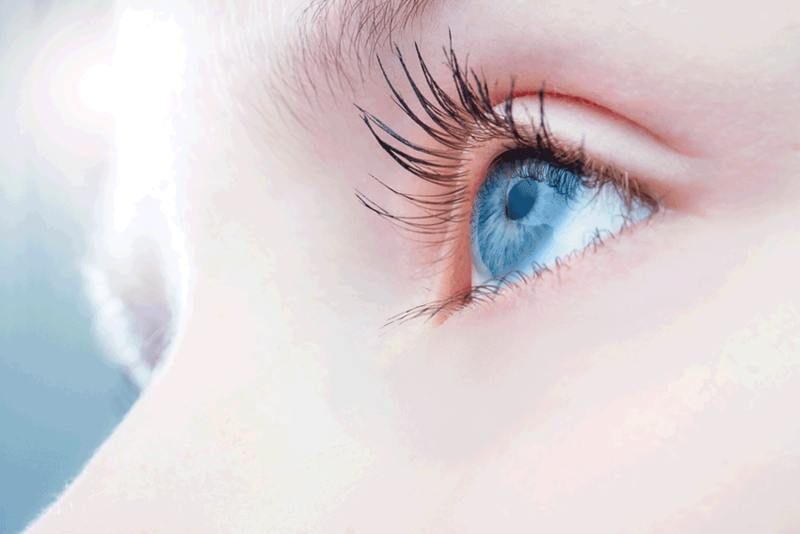 ), no one is recommending Lasik for children. That is something you would never want to do on a growing eye! So while, my opinion is that those of us with myopia are generally stuck with it, and it will probably get worse during the growing years, I don’t feel it’s such a bad problem. Just coming in once a year to make sure the glasses are right and not doing anything else is fine. But if you want to take a more active position, and do some of the safe suggestions for slowing down myopia in kids, I would suggest either taking off the glasses when reading, trying bifocals, or, for the kids at least nine years old, trying multifocal contacts lenses. The bifocals are annoying and the multifocal contacts aren’t quite as clear as regular soft lenses, but I don’t believe they are as harmful as the other options. I’ll be happy to discuss this further when I see you in the office!